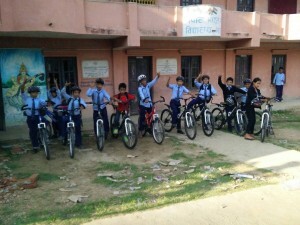 4 schools, 110 bikes, 30 workshops, and loads of learning! 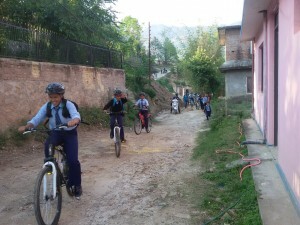 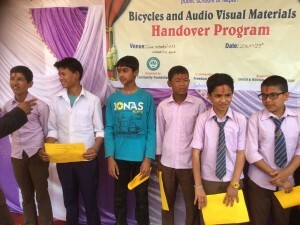 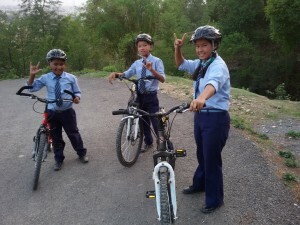 They are becoming a major part of school life, used for science experiments, mapping out routes in geography, racing them in sports, learning bike mechanics, environmental studies and green campaigns in their villages and the city. 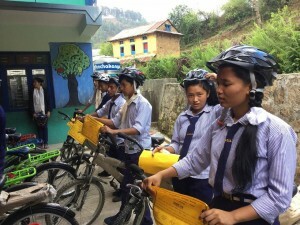 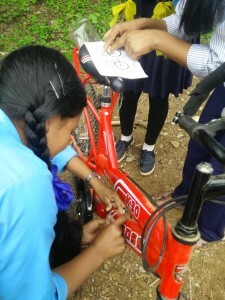 Students are also taking responsibility for the bikes and learning management while running maintenance upkeep groups and have signed up to collective ownership of the project. 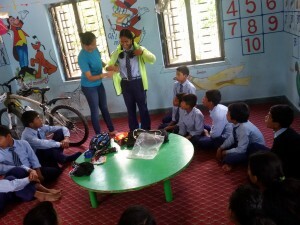 Road safety training is also included for all the students and staff. 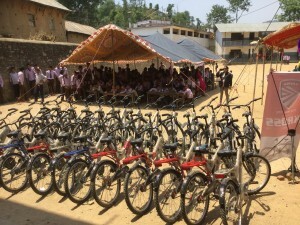 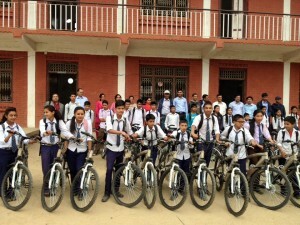 The bikes have increased attendance by heightening the ‘kudos’ school, last year our pilot project at Suntakhan increased school attendance so much that a waiting list was established for students wanting to join, now 3 more schools and a School leavers group will benefit from what is really just a simple bicycle – Simple ideas, big results.